In its 27 May 2015 Queen’s speech, the Conservative government announced that ‘early legislation will be introduced to provide for an in/out referendum’. The following day, it introduced the European Union Referendum Bill, which passed its third reading in the House of Commons on 7 September 2015 (by 316 votes to 53). The second reading in the House of Lords is scheduled for 13 October 2015. Following the recommendation of the Electoral Commission, the initially proposed question: ‘Should the UK remain a member of the European Union?’ was replaced with an arguably more neutral question: ‘should the UK remain a member of the European Union or leave the European Union’. Section 2 of the Bill stipulates that the franchise for the referendum will follow eligibility for voting in a UK general election (modified to enfranchise Peers and Gibraltar residents). All proposed amendments were withdrawn or failed to secure a majority. The referendum franchise invites serious reflection on the anomalies of the current general election franchise. The first anomaly concerns UK citizens who habitually reside outside the UK. Pursuant to the Representation of the People Act 1985, they are disenfranchised after a period of 15 years of non-residence. There are over 2 million UK citizens living elsewhere in the EU. In 2013, the Fourth Section of the European Court of Human Rights (ECtHR) declined to hold that the legislation violates Article 3 of Protocol 1 (A3P1) of the ECHR (the petitioner, British army veteran Harri Shindler, received an MBE in 2014). Elsewhere, I critiqued the Strasbourg court’s timidity in scrutinising voting eligibility legislation, inter alia, regarding ‘the Shindler question’. Notably, the 2015 Conservative party manifesto pledged: ‘we will introduce votes for life, scrapping the rule that bars British citizens who have lived abroad for more than 15 years from voting’ (ibid p49). In the Queen’s speech, the government announced that it will introduce a ‘Votes for life Bill’ which will (ibid p96) ‘[e]nd the disenfranchisement after an arbitrary 15 years of British citizens living abroad, enabling them to continue voting in UK Parliamentary and European Parliamentary elections’. It would be rather challenging for the government to defend (in legal proceedings) a threshold which it defines as ‘arbitrary’. The second anomaly concerns selective enfranchisement of ‘Second Country Nationals’: over 2 million citizens of EU Member States (MS) residing in the UK. Citizens of three of the 27 other EU MS (Malta, Cyprus, and Ireland) residing in the UK will be eligible to vote in the referendum; however, their eligibility arises not from their status as EU citizens (whose status and rights, most notably in relation to residence and work in the UK, may be significantly affected by the outcome of the referendum), but rather from the fact that their countries (alongside Canada, New Zealand, Bangladesh, Mozambique, and others) are Member States of the Commonwealth. The referendum question calls upon voters to (re)assess the costs and benefits of the inevitable loss of some sovereignty that follows from membership in a supranational organisation. Those who believe that only full and permanent members of the polity, namely its (adult) citizens, should be entitled to make such decisions about the future of their polity, ought to be concerned about the mass exclusion of non-resident citizens from such a fundamental, long-term, wide-ranging decision, as well as about the selective inclusion of non-citizens; on this account, the franchise is over and under-inclusive. It follows neither a citizenship nor a residence basis; its supporters struggle to find a contemporary justification for its retention, its pedigree notwithstanding (see for instance the 2nd sitting of the House of Commons Committee). In contrast, those who contend that the franchise should reflect habitual residence, rather than citizenship, should be concerned about the exclusion of most resident non-citizens (including, incidentally, French-born Christian Allard, the SNP MSP for North East Scotland). It is worth mentioning that, contrary to oft-made claims, the Scottish independence referendum franchise was also based on selective residence, excluding residents who are neither citizens of an EU MS nor ‘qualifying commonwealth citizens’ (for analysis of the challenges raised by the 2014 Scottish Independence Referendum franchise, see: Independence Referendums: Who Should Vote and Who Should be Offered Citizenship?). Can the franchise be challenged? The Council of Europe Code of Good Practice on Referendums (adopted by the Venice commission in March 2007) considers it ‘desirable that the right to vote be accorded to citizens residing abroad, at least for national referendums’. Nevertheless, an ECHR-based challenge seems unlikely to succeed due to the restrictive interpretation of the stipulation in A3P1 (‘elections concerning the choice of the legislature’). Indeed, the FCO’s ECHR Memorandum references the Commission decision in App No 7096/75 X v UK (rejecting a challenge to the franchise in the 1975 EEC referendum) as well as subsequent decisions ‘establishing that referendums do not fall within the scope of A3P1’. It notes that the government’s position is that the referendum franchise ‘does not engage’ A3P1 ‘and that no issue of incompatibility of this Bill with the ECHR arise’ (ibid , ). The UK Supreme Court, upholding the blanket disenfranchisement of prisoners in the 2014 Scottish Independence Referendum (Moohan and another) (Lords Wilson and Kerr dissenting), rejected the claim that independence referendums are qualitatively different than referendums that the Strasbourg case-law has considered insofar as they affect the question which legislature, Holyrood or Westminster, ultimately legislates for Scotland. This outcome is regrettable, not least as it was coupled with rejection of a common law-based right to vote. Strasbourg could revisit its case-law, but it is unlikely to do so, especially in light of the UK’s continued defiance of its Hirst judgment (note, in this regard, the Committee of Ministers’ decision of 24 September 2015 ‘express[ing] profound regret that, despite their repeated calls, the blanket ban on the right of convicted prisoners in custody to vote remains in place’). An EU-law based challenge lodged with a UK court, followed by a preliminary ruling request from the Court of Justice of the European Union (CJEU) may be a more promising route to challenging the referendum franchise. On 6 October 2015, the CJEU delivered its ruling in Case C‑650/13 Delvigne (request for a preliminary ruling from the Tribunal d’instance de Bordeaux (France)). The case concerned the legality, under EU law, of the exclusion from voting in European elections of a French national sentenced to 12 years’ imprisonment for murder. The Advocate General (AG)’s opinion, delivered on 4 June 2015, was significant on three counts: First, it rejected the French, Spanish and UK governments’ position that the rights enunciated in Article 39 of the Charter of Fundamental Rights (CFR) ‘are reserved to Union citizens resident in a Member State other than their Member State of nationality’ (Second Country Nationals, or SCNs) (ibid ). Article 39(2) of the CFR stipulates that ‘Members of the European Parliament shall be elected by direct universal suffrage in a free and secret ballot’. Rather, the AG accepted the position of the German government, the European Parliament, and the European Commission, namely that ‘citizenship of the Union, to which that right is linked, entails a status whose legal effects apply even when there is no cross-border element’ (ibid ). Second, the AG accepted that there is a clear link between the national legislation at issue and EU law (ibid ). Third, in order to evaluate whether the impugned legislation violates EU law, the AG referred to ‘the common minimum shared by the Member States and, consequently…the case-law of the ECtHR concerning A3P1 [most notably Hirst (No 2) and Scoppola (No 3)’] (ibid . The AG would have left it for the referring court to determine whether the French legislation fails to meet the ECtHR criteria (ibid ). The CJEU accepted that, by determining the franchise for European Parliamentary elections, EU MS ‘must be considered to be implementing EU law’ . The Court held that the deprivation of the right to vote represents a limitation of the exercise of the right of EU citizens to vote in elections to the European Parliament (). It then found the ban to which Mr Delvigne is subject to be proportionate in so far as it takes into account the nature and gravity of the criminal offence committed and the duration of the penalty (applicable to criminal offences punishable by at least five years’ imprisonment); generally, the Court held that MS are not precluded from disenfranchising persons ‘convicted of a serious crime’ . In Chester and McGeoch, Lord Mance rejected the claim that the stipulation in Article 20(2)(b) of the Treaty on the Functioning of the European Union (TFEU), which entitles EU citizens to vote in ‘elections to the European Parliament and in municipal elections in their member state of residence’ ’is a ‘selfstanding provision’, holding instead that its applicability is limited ‘to the situation of residence in a Member State other than that of nationality’ (ibid ) (see my critique of the UKSC judgment on this blog). However, according to the CJEU ruling, national legislation concerning voting eligibility for European Parliamentary elections is subject to CFR-based challenges, not just in relation to SCNs, but also where no cross-border element is present. The ramifications of this ruling for the legality, under EU law, of the UK’s blanket ban on serving prisoners voting in European Parliamentary elections are significant: not just for SCNs serving sentences in UK prisons, but also for (presumably most) prisoners who are UK citizens. One can also expect challenges to the application of the UK’s blanket ban in the upcoming May 2016 elections, which include several processes that are ‘municipal elections’ (in the EU rather than the PIL sense of this term) as per Article 40 of the CFR. Such challenges can be brought by SCNs incarcerated in UK prisons, where a cross-border element is present. The question for the Court would then be whether the relevant comparator (for applying the principle of non-discrimination) is an enfranchised or an incarcerated UK citizen. As per challenges to the ‘Brexit’ referendum franchise, EU law neither prescribes nor proscribes enfranchising EU citizens in national elections of their EU MS of residence. A country-wide referendum is likely to be considered akin to national rather than ‘municipal’ elections. Hence, had the Bill restricted eligibility to UK citizens (or extended it only to non-citizens who are not EU citizens) there would be no prima facie ground for challenging the electoral exclusion of EU citizens qua EU citizens. However, as noted above, citizens of three EU MS (Malta, Cyprus, and Ireland) will be enfranchised, whereas citizens of 24 other EU MS are excluded. Article 18 TFEU stipulates that ‘within the scope of application of the Treaties, and without prejudice to any special provisions contained therein, any discrimination on grounds of nationality shall be prohibited’. The vexing question is whether the CJEU could, should, and would determine that the potential effects of ‘Brexit’ on the exercise of treaty rights by EU citizens, not least the right to free movement and residence (Article 45 CFR), suffice in order to establish a link between the national legislation at issue and EU law. Such a determination would arguably be in the spirit of Zambrano’s approach to the significance and scope of EU citizenship rights. The CJEU may then go on to consider whether the UK franchise constitutes unjustified discrimination against EU nationals, be it SCNs in the UK or UK citizens residing elsewhere in the EU. A CJEU ruling that jumps through these hoops seems rather unlikely. The general election franchise excludes from participation in the EU referendum individuals belonging to the two groups that would arguably be among those most affected by a potential ‘Brexit’: (many) EU citizens exercising their EU treaty rights in the UK and (many) UK citizens exercising their EU treaty rights elsewhere in the EU. I considered the likelihood of legal challenges to the EU referendum franchise. I shall leave it to others to consider whether launching such challenges is politically wise or counter-productive. Steve Peers argued before the May general election that, should the general election franchise change, ‘the first time to apply the new rules should be the subsequent general election, not any Brexit referendum that might take place’. The Liberal Democrats adopted a resolution in their recent party conference, endorsing enfranchisement in the ‘Brexit’ referendum of both non-resident UK citizens residing in the EU and non-citizen EU citizens residing in the UK. As recent debates in Parliament indicate, the suitability of the UK general election franchise is now on the political agenda. 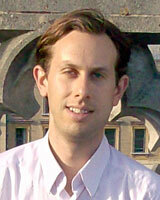 Dr. Reuven (Ruvi) Ziegler is a Lecturer in law at the University of Reading. This entry was posted on October 7, 2015 by Constitutional Law Group in European Union and tagged Citizenship, EU Referendum Bill, European Citizenship, European Convention of Human Rights, European Union Charter of Fundamental Rights, franchise, general election, UK EU Referendum.